The Alliance of Health Insurers, U.A., has selected Rebecca Larson as the new Executive Director for the organization. Larson has more than 17 years of experience working with local, state and Federal elected officials in positions both in and out of the state capitol. 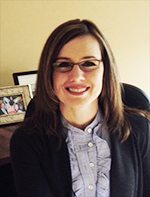 Prior to joining AHI, Rebecca worked as Manager of Government Affairs for Xcel Energy, a multi state energy Company. In that role, Larson directed the public affairs, strategic planning, policy development, grassroots, political communications and lobbying for the organization. Larson received her undergraduate degree in political science and public administration from U.W. La Crosse and her MBA from the U.W. Milwaukee Executive MBA program. past experience working in a heavily regulated Industry should prove beneficial in this effort. Managed Health Services Insurance Corp.
serve to foster innovation, eliminate waste and protect Wisconsin health care consumers. Wisconsin. ; WEA Insurance Corporation; WPS Health Insurance. entire state, said WPS President and CEO and AHI Board President, Mike Hamerlik.